Skeptics tend (as they should) to question everything, even the need for a movement of self-identified skeptics. It is an interesting question – what is the net cultural effect of organized scientific skepticism? Of course, we can’t really ever know the answer to this question. There are too many moving parts. We could point to cultural trends, but this is probably the worst line of evidence. There is no way to control for skepticism as an isolated variable. We have no way of knowing what the world would be like without organized skepticism. We can point to individuals whose lives have been changed, they believe for the better. I am heartened by every e-mail I receive from a reader or listener who says their life has been changed for the better because of skeptical outreach. Perhaps they were steered away from a career in pseudoscience, learned how to think more critically about everything, or just found a community to which they could connect. I pay close attention to criticism that comes from within the skeptical movement – earnest and considered questions about the role of skepticism deserve an answer. Think back for a moment and consider the social and scientific climate in 1940′s America. I think that it’s fair to say that during and since that time, many erroneous (unscientific) ideas and unscrupulous claims have been successfully tackled and (last I checked) science almost always prevails. The interesting thing is that a vast majority of these erroneous ideas were defeated without the aid of a “skeptical movement.” I find this fact both fascinating and curious. Jon is not arguing against spreading critical thinking. He is just questioning our current methods. I’ll get to that later – first let me address his premise above. His premise, which I have heard before, is that science will eventually win out over pseudoscience, with or without organized skeptics. I believe, however, that he cherry picks his examples in order to make his point. I can think of many pseudosciences that flourished without opposition. Chiropractic, for example, was opposed by the AMA, but there was no cultural pushback against the foundational pseudoscientific ideas of D. D. Palmer. Homeopathy also was allowed to endure, and even gain codification in the laws defining the powers of the FDA. The 1940s was also essentially the birth of the modern UFO phenomenon. I should also point out that historically popular pseudosciences were often effectively debunked by individual skeptics, even without an organized skeptical movement. Benjamin Franklin effectively killed Mesmer’s “animal magnetism.” Robert Wood, a great example of a scientist who was also a skeptic, slew N-rays in a single stroke. We can’t forget Houdini and his campaign against spiritualism. Scientific American also took up the skeptic task on a few occasions, including exposing Abrams’ Dynamizer as a quack device. These people were not just scientists – they were critical thinkers who had an interest in pseudoscience in the public domain and debunking it. Asking whether or not science will prevail against pseudoscience in the long run is asking the wrong question. I agree that it will – because science works, and pseudoscience (by definition) is fatally flawed. Science has an insuperable long term advantage over pseudoscience. The real question is, how much damage will be done in the meantime, and can we mitigate it? Scientific progress is not what the skeptical movement is about (that’s what scientific institutions and scientists are for). Skepticism is about promoting science and critical thinking in the public square. Occasionally scientists do that, but not enough, and often not effectively when pseudoscience is involved. Let’s take creationism, for example. Duane Gish made a career out of debating scientists and kicking their asses. Scientists knew the science of biology and evolution, but they did not understand the particular claims of creationism, and the mechanisms of science denial, so they got sucker-punched. Skeptics, however, understand the science well enough, but also study as an independent discipline the history of pseudoscience and the particular intellectual strategies of deniers in general (or conspiracy theorists, true-believers, cranks, etc.) and creationists and other specific belief systems in particular. I can tell you from first hand experience that most doctors and medical researchers, while generally scientific in their approach, are not prepared to understand or deal with the onslaught of pseudoscience infiltrating medicine. It is organized skeptics who are patiently explaining why, for example, acupuncture is pseudoscience and at least hampering the advance of such pseudoscience. 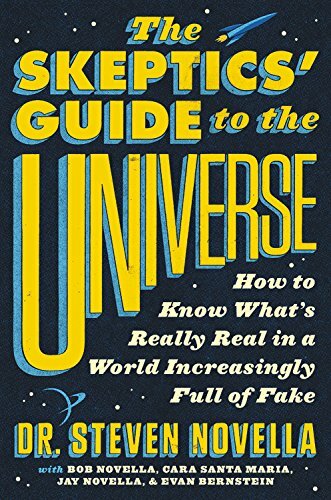 Skeptics bring to the table something that, in an ideal world, every scientist would know, but in the real world precious few do. We study the mechanisms of self-deception, philosophy of science, pathological science, the history of pseudoscience, the laws regulating science, and the demarcation between science and pseudoscience. Further, some of us are trying to develop our skills at public outreach and dealing with the media. Popularizing science is critically important, and perhaps Jon takes this for granted now, but skeptics have played a significant role in science popularization. The top science blogs and podcasts, for example, are littered with skeptics. I believe that the modern skeptical movement introduces many complex layers of personalities, drama, raw unchecked emotion and political affiliations with every skeptical message we promote. This gives our cultural competitors a big juicy target to aim for, and takes the public’s eye of the actual argument. The way it’s currently done, the cultural or political affiliation of the skeptics becomes fodder. The debating styles of the skeptics can also become an issue. And the constant rehashing of UFO’s, crop circles, Bigfoot and ghosts becomes a kind of reverse Achilles’ heel for skeptics as it makes us appear like a middle-aged high school athlete frozen in ancient glories. It’s tired and we should simply move on. It seems that Jon’s subjective experience of the skeptical movement is just different than my own. There is probably a great deal of confirmation bias on both sides. Let me deal with the easiest point first – that we constantly rehash tired classic topics like Bigfoot, UFOs, crop circles, and ghosts. This is patently false. Sure, we will occasionally revisit the classics, when a news item or new claim crops up. They can provide occasional teachable moments. I also don’t think you can argue that such topics are dead, as the recent popularity of ghost-hunting reality TV shows can attest. “Constant rehashing,” however, is simply not accurate. Take a look at the topics of the recent NECSS conference. We managed to go for an entire skeptical conference without mentioning Bigfoot, ghosts, UFOs, or crop circles even once. There literally was not a mention. Take a look at the topics of this blog, now over 1,400 articles. The above topics represent <1% of the articles. We spend most of our time taking on active social issues, like global warming denial, controversies over GMO, alternative medicine, and anti-vaccinationists. I also spend a lot of time exploring the nature of science and pseudoscience and promoting what I call neuropsychological humility. Jon’s first point about skeptics injecting personality and belief into the movement is fair to a point. First – welcome to the human race. Humans inject politics and personality into every organization that exists. I have yet to interface with any organization that wasn’t rife with politics and personality. I agree that if there is any movement that should rise above the drama of personal beliefs it is the skeptical movement, and it is disappointing when we fail to do so. But Jon’s unstated premise is that such drama is somehow woven into the skeptical movement rather than the failure of particular individuals. I have the privilege of knowing many activist skeptics who are fairly free of personal drama. They behave professionally, their public persona is fairly pristine, and they do their best to promote science and critical thinking without mixing in their personal beliefs or ideology. No one is free from the politics of human interaction, but many work-a-day skeptics are relatively free of the drama. Jon’s criticism should be focused on individuals, not the movement. I also believe that what we have been experiencing recently is largely the result of the dramatic increase in our numbers and footprint over the last decade due to social media. The skeptical movement increased in size over a very short period of time, while simultaneously adapting to social media and all that implies. This has been both a boon and a bane, and we are still adapting. We have had to learn how to deal with internet trolling of every variety, public disagreements played out on Twitter and Facebook, infiltration by pseudoskeptics, and very public and frank discussions about how to define skepticism and its scope. It is a matter of open discussion how exactly to present and promote skepticism. Should we tackle political topics, and if so how do we do this without injecting our own politics? There are those who think we should inject our own politics (as long as it’s their’s). To what extent should skeptical activism be combined with other agendas. How do the various new groups with different approaches to skepticism and various overlapping agendas all get along without stepping on each other’s toes? Old divisions have also reasserted themselves. Atheists, skeptics, and humanists have significantly (but not completely) overlapping philosophies and agendas, but with different emphasis and style. Sometimes the most bitter disagreements are with those with whom you differ only slightly, because it feels like attacks are coming from those who should be allies. We are struggling with issues of ideological purity while groups experiment with new ways of slicing up rational activism, such as Atheism+ or the Brights. I think all of this can ultimately be healthy, even if it is messy and difficult to watch. As long as we try to keep the conversation constructive and don’t forget our vast ideological overlap as we work out our differences. For me, I celebrate the diversity of opinion and approaches. I don’t think any one has the one right answer, so let a thousand flowers bloom. We do need to step back every now and then and remember that there is a role for tolerance of diversity, and let’s not forget the deep commonality of world view that binds us together. In the end Jon’s question, do we need a skeptical movement, is moot. We have one. The skeptical movement emerged out of our culture, and it can serve a very positive role. Initially the skeptical movement was fairly top-down, organized by founders and leaders with brick-and-mortar infrastructures. A decade ago, however, the skeptical movement underwent a rebirth, this time from the bottom up. These two aspects of the movement are now meshing together, like waves crashing into each other, and we are still feeling the chaos and turbulence. I do think we will emerge a bigger, stronger, and wiser movement. Meanwhile most skeptics are busy doing the work or promoting science and critical thinking, and the endless work of becoming better skeptics.